These backgrounds are 240 x 45 pixels. 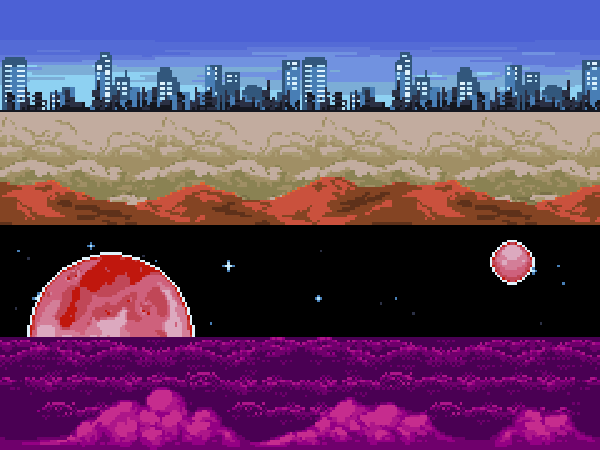 There are four themes, each with 2 layers: Earth, Mars, Venus, and Space. The zip contains each 4 sets of 2 PNGs, as well as a PSD with all of the art together in separate, grouped layers.